Every part of Gujarat has freshness in itself. The state is so alluring that one would definitely fall in love with its rich culture, nature, flora, fauna and essence. It was the second day of our trip to Gujarat and we were still in Bhuj. All four of us started to plan out the day’s journey. In my childhood, Mom had always wanted me to visit the local veggie market to which I always tried to rescue by making lame excuses. But slowly as the life is moving on, I want to learn and experience the every-day requirements of life. As this time I was in Bhuj and the Bhuj vegetable market is no less than a visiting place, I planned to visit it along with my friends. Again we went near the AinaMahal and Prag Mahal as the local vegetable market of Bhuj is right beside it. Taking a stroll near the market and enjoying the old buildings and rugged households was a much interesting experience. As it was the month of February, we could not feel the harshness of high mercury level. The weather was decent and the sun was playing hide and seek beneath the clouds. Gujarat enjoys a fair climate and therefore while walking through the stalls in the vegetable market, we playfully picked up snacks and fruit juices. 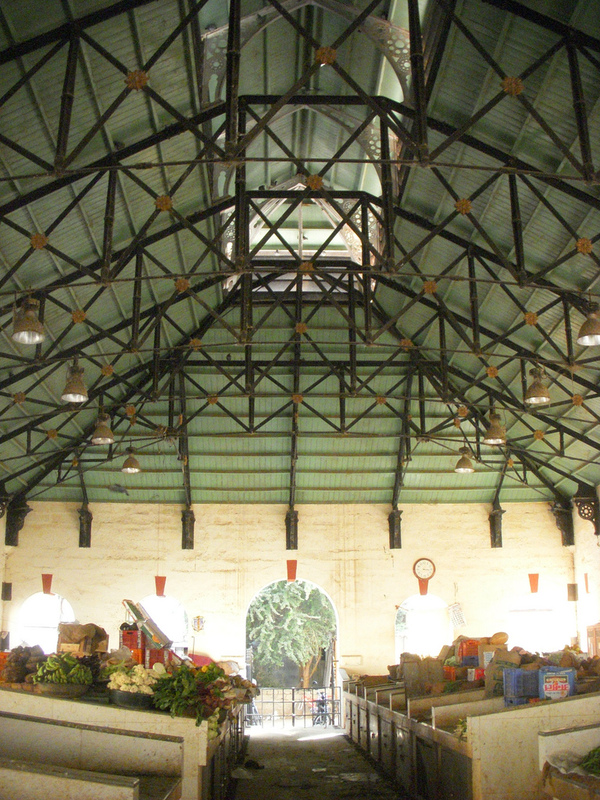 The vegetable market is tucked in an old British Garrison and perfectly reflects the image of an old jagged province. The garrison was established during the British reign in the country in the year 1883 and after India became independent, the area is used for the commercial purpose. There are different shops, small and big which sell fruits, vegetable, spices, grocery, fish and other items. Traders and tourists almost occupy the street market from all the sides. The place is much like a tourist place with the hustle and bustle of the true Indian spirit of marketing. It is often known as the Shroff market and people from every strata of the society come here for shopping and buying daily items. After the mishap of the Gujarat earthquake in the year 2001, the place has been reconstructed again and maintained by the traders. 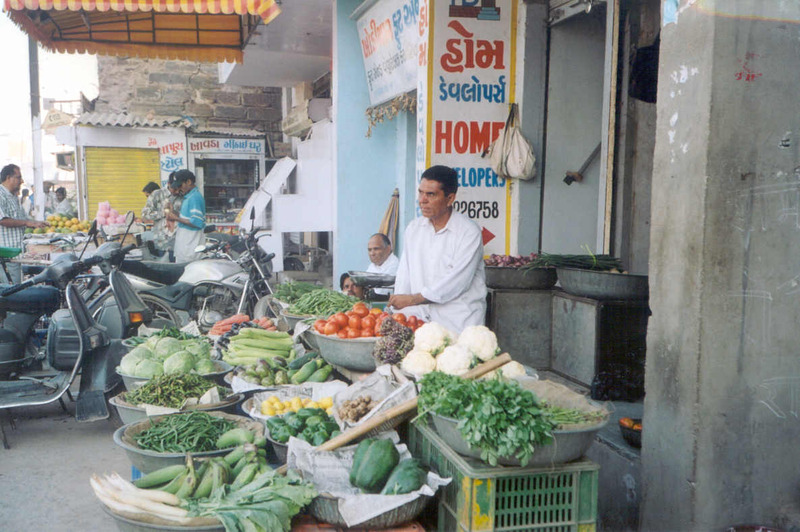 This entry was posted in Food, Tourist Place and tagged vegetable market in bhuj. Bookmark the permalink.